The options for wall covers in a commercial space are pretty close to endless. Paint, wallpaper and tile are classic favorites and can offer limitless options for expression and creativity in and of themselves. But the buck doesn’t stop there. When you want your commercial office space to feel elevated, on-brand and customized, your walls are some of your biggest design assets. 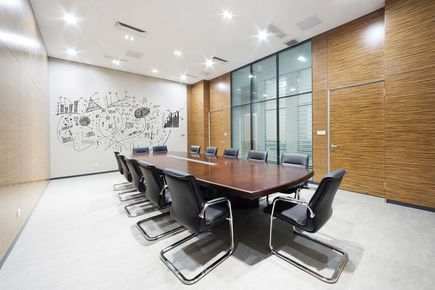 Commercial wall coverings are manufactured to meet or surpass minimum physical and performance characteristic set forth in federal guidelines which focus on requirements for flammability, tear strength, abrasion resistance, stain resistance and more. 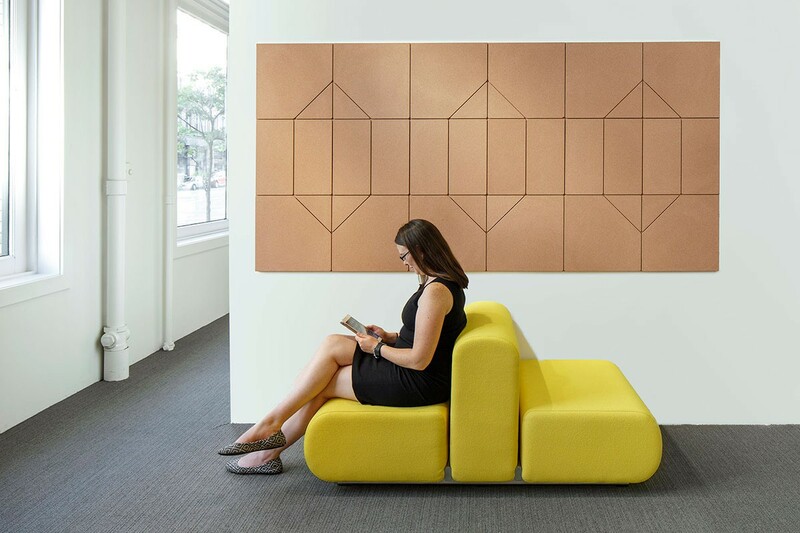 Acoustical wallcoverings are designed for areas where there is a need for sound reduction: meeting rooms, offices, theaters, restaurants, shared corridors, elevator lobbies, etc. These products are predominately made of man-made polyester and olefin fibers and are tested for a Noise Reduction Coefficient (NRC) rating. Fabric-backed vinyl is laminated to a solid vinyl decorative surface. The wallcovering has a woven substrate of fabric or a non-woven synthetic substrate. Natural textile wallcoverings are usually laminated to a backing to create dimension in a space. These backings are usually acrylic or paper. Natural textiles can be finely designed or coarse in texture, depending on the desired effect. Polyolefin/synthetic textile wallcoverings were developed to give the appearance of a natural textile while adding an increased value in stain and abrasion resistance. These wallcoverings are woven and non-woven and are generally put up with an acrylic or paper backing. Within these categories, there are many, many, many products and manufacturers. Our project managers see a broad range of products used in our client’s spaces. Spinneybeck, FilzFelt, MDC are some of the most commonly used materials. Spinneybeck– a leading provider of high-quality leather to architects and interior designers. FilzFelt– a provider of German-milled 100% Wool Design Felt in 65 colors and five thicknesses. The product line includes products for the floor, the walls and just about everywhere in between. MDC– This company offers a large variety of wallcoverings that can be customized for any brand, purpose or solution. The product that is most familiar is the dry-erase solution which can be applied on many surfaces: paint, tackable, or glass.